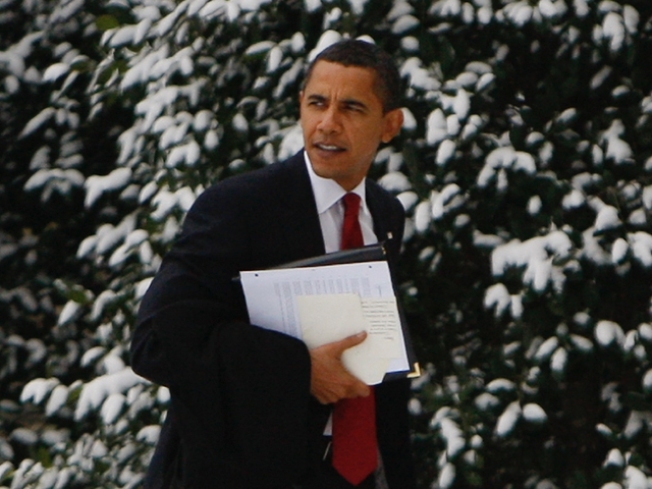 Obama calls for "Flinty Chicago Toughness" in D.C.
A little snow isn't going to stop President Barack Obama's day. It's no secret that D.C.-area schools have a history of closing at the drop of a snowflake. But the concept seems very foreign to President Barack Obama, who experienced the practice firsthand Wednesday when his daughters' school, Sidwell Friends, closed due to snow and ice. "My children's school was canceled today, because of what, some ice?" Obama said during a photo opportunity with economic leaders, who began chuckling. "As my children pointed out, in Chicago, school is never canceled. In fact, my 7-year-old pointed out that you go out for recess. You wouldn't even stay indoors." Obama Scoffs: D.C. Needs "Flinty Chicago Toughness"
President Obama said Washington, D.C. could take a page from the Windy City and toughen up after his daughters' school closed because of "some ice." Needless to say, some Washingtonians weren't amused by the president's jokes. 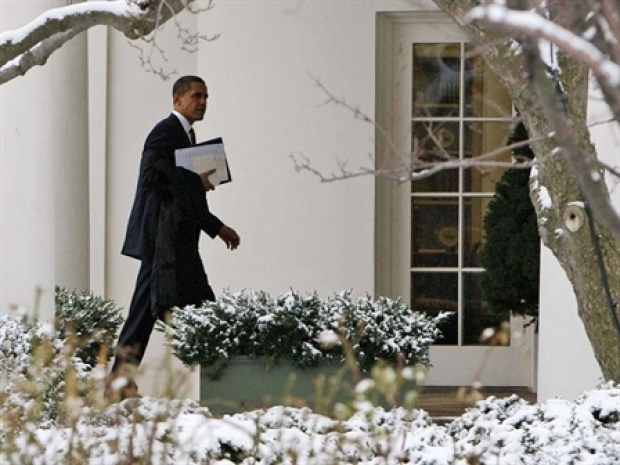 Snow-- and Washington's ability to deal with it-- can be touchy issues. "Obama is my president, I love him, but don't talk about D.C. like that," a caller said on "The Daily Drum" radio show on WHUR Wednesday night. The phone lines were flooded with calls all evening with strong opinions on the president's comments. Obama said he would have to instill "some flinty Chicago toughness" into Washingtonians. "When it comes to the weather, folks in Washington don't seem to be able to handle things," he said. Obama may be a new president, but he has touched on an age-old debate. "Being from Chicago, I agree completely. D.C. shuts down at the first sign of the slightest amount of snow, it's hilarious," DC resident Nick Lippolis said. Others see an up side to a little overreaction; "I'm from Connecticut, we do snow and ice, but I got to stay home today," Sarah Henderson said. Malia Obama, 10, is a fifth-grader at Sidwell's middle school campus in the District, while younger sister Sasha is in second grade at the elementary school in Bethesda, Md. Sidwell usually follows the lead of Montgomery County Public Schools in weather events to determine whether to stay open or close. While Obama was perplexed by Sidwell closing for the day, many parents in D.C. are asking why the District's public schools only had a two-hour delay. Icy sidewalks were reported across D.C. in the morning, leading to treacherous conditions for pedestrians -- students included.